Max is a baby gorilla who wakes up one day to feel that nothing is going right. He throws things and tantrums, is grumpy when others surround him and even more unhappy when he is left alone. We all have grumpy days, so it’s lovely to find a book that acknowledges the normality of this. While the solution that is offered for Max’s troubles is a bit on the lame side, the body of My Grumpy Day is what I found irresistible. 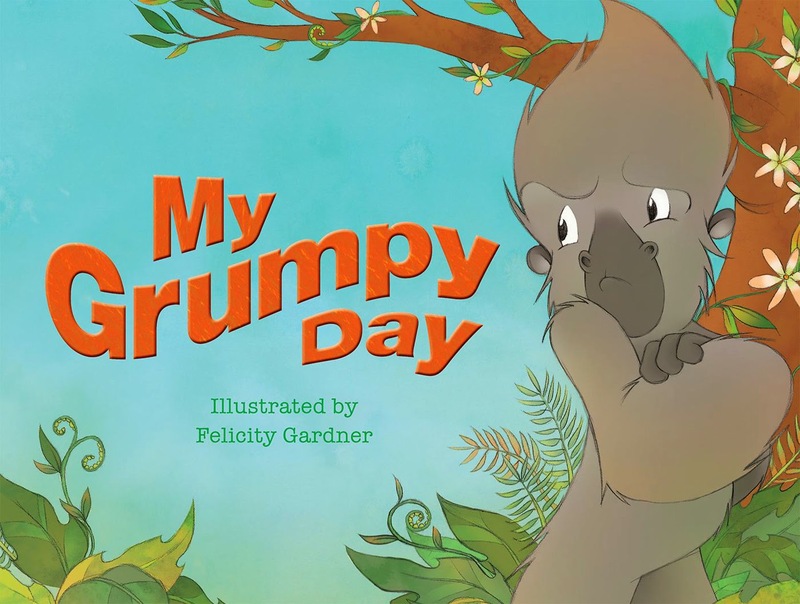 My Grumpy Day is a lovely way to help little ones understand that everyone can have their off-days.